Dhiman Mukherji, director, marketing solutions for LinkedIn India, has left the company. While the company has not sent out a release, it officially confirmed the same to Techcircle.in via a statement that read, "Mukherji has left LinkedIn. We would like to thank him for his contributions to the marketing solutions business in India over the last two and a half years." "Nishant K Rao, the country manager for India, will continue to oversee the LinkedIn marketing solutions team in India as part of his broader responsibilities," the statement further read. The announcement comes in the heels of the company appointing Nishant K Rao, who earlier held the position of director, business operations, and head of global sales strategy at the company's headquarters in Mountain View, California, as the new country manager for India. At the time (early last week), the company had also promoted the former country manager, Hari V Krishnan, to the position of MD for the Asia-Pacific (APAC) and Japan. Prior to LinkedIn, Mukherji had worked with companies like AOL India, Google.com, Rediff.com and The Times Of India. He holds a MBA in marketing from International Management Institute and BA in political science from Delhi University. We have contacted him via mail for more clarity on his plans post LinkedIn and are awaiting a response on the same. LinkedIn, a professional network with over 200 million global members, has 18 million members in India, making the country one of the fastest-growing markets (and also the largest outside the US). 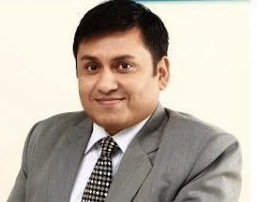 It had earlier appointed AL Jagannath as head of trade marketing for India to drive existing and new initiatives for the company's marketing and hiring solutions and also to increase awareness regarding LinkedIn's customised solutions available for advertisers and recruiters in the Indian market.